You'll all probably know by now that I struggle with having an oily t-zone; I have to be careful which moisturisers I use and keeping foundation on my face for any length of time can prove a bit difficult. 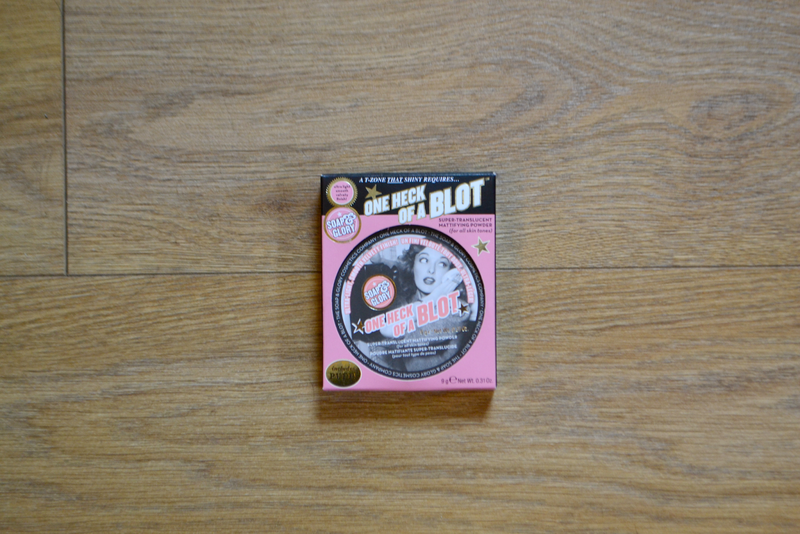 I don't like to use a whole lot of powder to try and set my makeup because I find it can turn cakey pretty quickly if I'm not careful but when I saw The Sunday Girl's review of Soap and Glory One Heck of a Blot I knew I had to try it. It basically sounds like a dream product for anyone with oily skin. I've been using it since the beginning of February so I feel like I can tell you exactly what I think about it now. 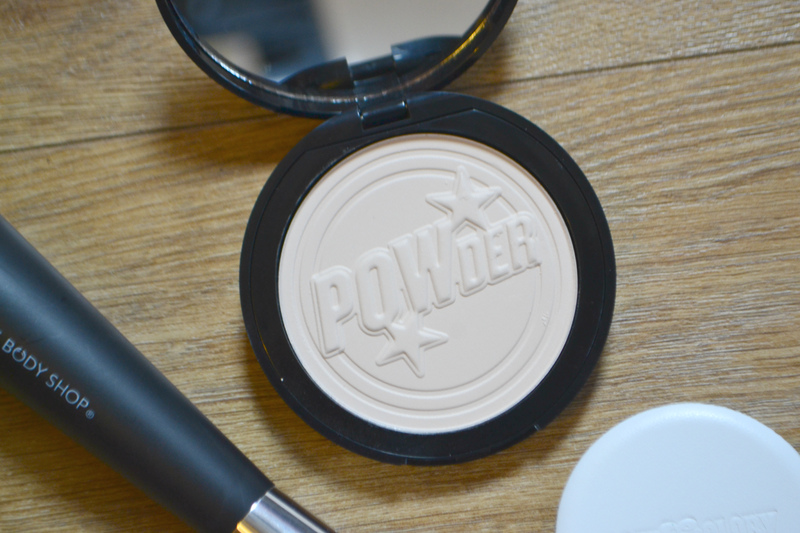 I use it in-between foundation and pressed powder because I found that pressed powder alone just wasn't enough no matter what brand I used. It's so easy to load up onto a brush because it's so finely milled and soft and it glides onto skin effortlessly without leaving any real trace of colour so it truly is a translucent powder so the fact that there's only one 'shade' should be absolutely no problem regardless of your skin colour. If anything it actually helps to neutralise any redness because it's ever so slightly yellow rather than being white (don't worry though, it won't make you look like a Simpson!). It really does control oil breakthrough like no other product I've used before and it doesn't feel heavy or cause caking throughout the day. I have personally never had to reapply this during the day so I can't speak for whether it builds up or not but the fact that I haven't reapplied is surely testament to how good this is. I haven't had any excessive shine at all since using this; you know sometimes (especially on nights out) when you end up looking like you've got a face with shine to rival that of the moon? Well I've not had that at all. It doesn't reflect with flash either so you don't end up with a stupidly white or shiny face which is a bonus. 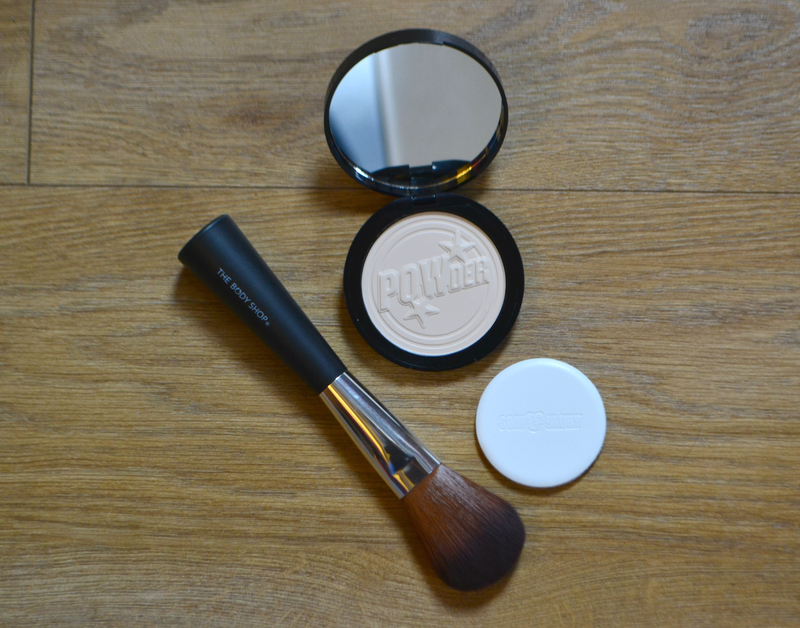 It comes with a mirror in the lid which is really handy if you are going to have it in your makeup bag during the day and it also comes with an applicator pad (I haven't used this because I much prefer a more even application with a powder brush). It's £12.00 which isn't cheap for a high street makeup product but the fact that it's out of stock on the Boots website at the moment speaks volumes for how popular it is. I actually bought mine in a store and it's worth knowing that even though that particular store didn't stock a full range of S&G products, they did have this among the bath and body stuff so it's well worth a quick look in your local Boots if you like the look of this. How well this has performed has made me want to try some more Soap and Glory products, what would you recommend from the range?